He told her quite frankly, in that first real conversation they had together on the little secluded bench in theS outh London park about all the morbid sufferings of his years in America and his final mental collapse. He even indicated to her while the sound of grassmowing came to them over the rain-wet tulips some of the most secret causes of this event; his savage reaction, for instance, against the circle he was thrown into there; his unhappy habit of deadly introspection; his aching nostalgia for things less murderously new and raw. He explained how his mental illness had taken so dangerous, so unlooked for a shape, that it was only by the merest chance he had escaped long incarceration. No; it was not that he concealed anything. It was rather that she experienced a remote uneasy feeling that, say what he might, and in a certain sense he said too much rather than too little she did not really understand him. 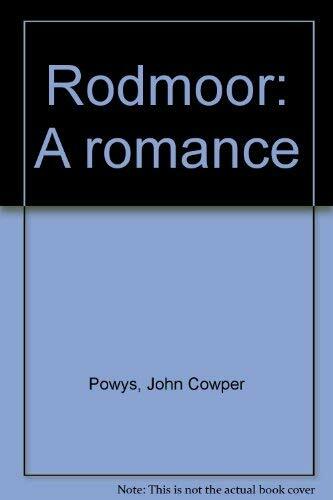 John Cowper Powys (1872-1963) lived in the United States as well as his native England. The author of ten novels, including A Glastonbury Romance, Weymouth Sands, and Maiden Castle, as well as many works of criticism and philosophy, he was the son of a vicar and a descendant of the poets Donne and Cowper.